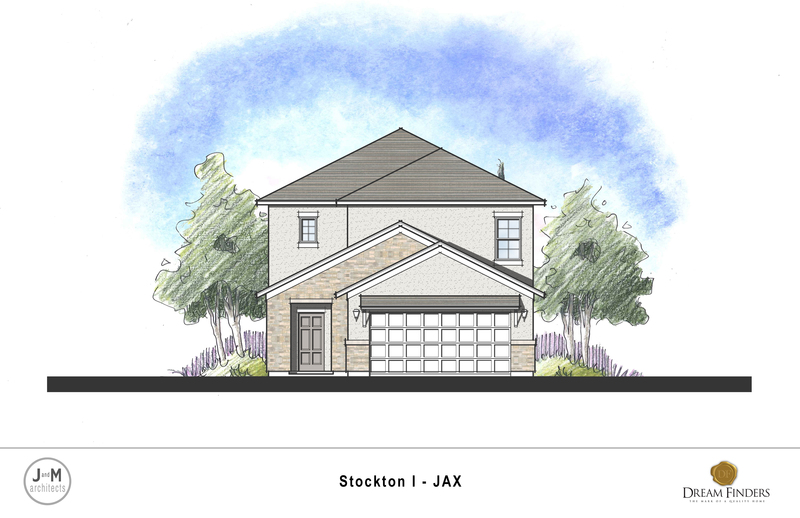 This STOCKTON Floor plan features a Tuscan Style Elevation with a 2 car Garage. This home includes a grand downstairs Owner's Suite and a Gourmet Kitchen overlooking the Dining and Family Rooms. The large sliding glass doors at the Family Room opens to the Covered Patio providing great views and lots of natural light. Upstairs is an oversized loft and 3 additional bedrooms.